Marlen C. Robb and Jeremiah J. Callahan formed a partnership in 1954, with their office located in Levittown, NY, writing personal, commercial and life insurance. Over the next fifteen years the business grew substantially including acquisition of three agencies. During that time the partnership changed to a corporation, operating as Robb & Callahan and relocated in 1969 to Jericho, NY. 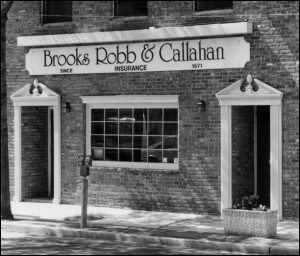 In 1971, the agency purchased Elmer G. Brooks Agency located in Oyster Bay, NY and changed the corporate name to Brooks Robb & Callahan. During the next three years they maintained two offices, in Jericho and Oyster Bay. In 1972, a building at 35 Audrey Avenue, Oyster Bay was purchased and renovated. The two offices merged in 1973 at the new location. Between 1974 and 1985 the agency purchased four additional agencies, three of which were located in Oyster Bay. In 1986, Marlen C. Robb retired and sold his share of the business to Jeremiah J. Callahan. In 1987, ownership changed to Jeremiah J. Callahan and Carol A. Callahan. Sisters, Kristen Ducharme and Lindsey Brekne purchased Brooks Robb & Callahan Inc. from long time family friends, Jeremiah and Carol Callahan on July 1, 2013. 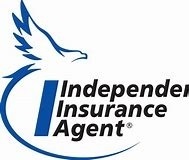 Coming from an insurance family with their father having 40 years’ experience, the women took over the business with intentions of running it the way it always had been—by family with honesty and integrity with the customers always coming first. Their hopes are that they can leave behind a legacy for their children and family for many years to come.